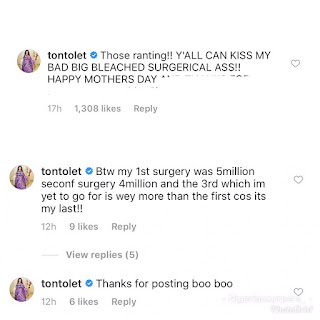 Controversial Nollywood actress, Tonto Dikeh has been all over Instagram yesterday making lots of revelations, after people bashed her for changing her son's surname to 'Dikeh'. 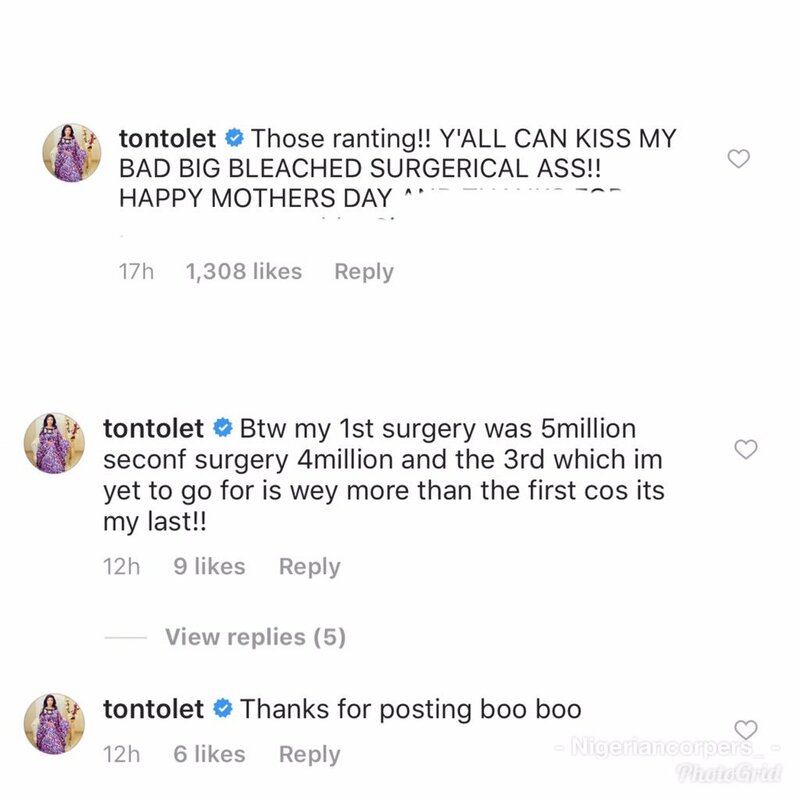 "Btw my 1st surgery was 5million second surgery 4million and the 3rd which im yet to go for is wey more than the first cos its my last!!" she wrote.